The Loving Well 28-day Journal by Beth Moore can be used either as part of a 4-week study or as follow up for a retreat. 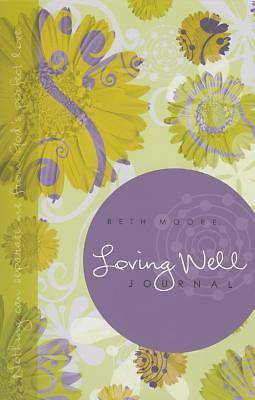 A copy of the journal is included in the Loving Well Retreat in a Box. Loving Well Retreat in a Box features four heart-to-heart messages where Beth describes different types of people -- some easy to love, and some not so easy to love. Great for a weekend retreat or anytime you need a four-session Bible study.